Today we are going to share three fun books about bugs from Candlewick Press. Hazel and I enjoyed all three of these books. Some were educational and others were funny and fun or a combination of them. We also found some fun crafts to go along with each of them! I hope you check them all out. We love all of them!! 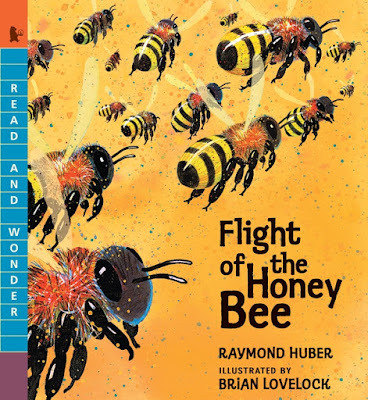 The first book is Flight of the Honey Bee by Raymond Huber and illustrated by Brian Lovelock. This story is in the written in the same way as many of the Candlewick Press books about animals. There is a story about one honey bee, a scout, and then little pieces of information on the sides. We love these books and have reviewed several (Emus, Hippos, Elephants, Big Red Kangaroo). This book shares the job of a scout bee as well as information about honey bees. It is informative and fun. It also shares the jobs of all the bees in the hive and the order the bees get each job. Then at the end it discusses the threat to honey bees and ways to help. We loved it!! The illustrations are beautiful and really give you a sense of the bee's life. This book is wonderful for a classroom or homeschool unit on bees. 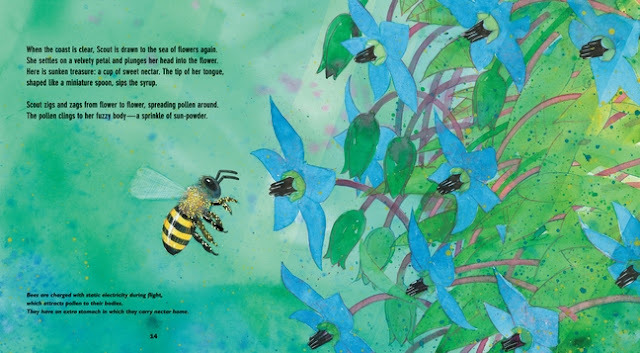 It brings bees to life in terms that younger children can understand and enjoy. 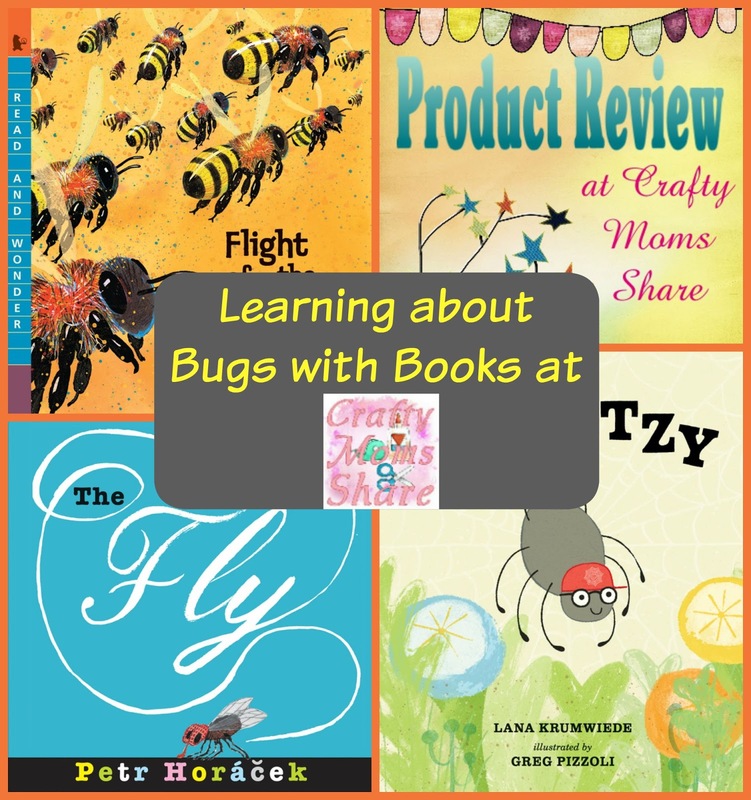 Candlewick Press also provides some classroom ideas/teacher guide to go with the book. 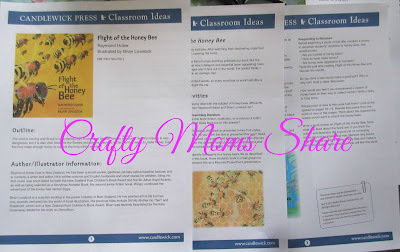 To go with Flight of the Honey Bee, we found several bee crafts to try and some that were made at our church and given to Hazel as examples (but we have not tried them on our own yet). While at Cape Cod Hazel and I saw a cute bee finger puppet at one of our favorite stores. It literally looked like a pom pom bee with a piece of black felt on the bottom to make it a puppet. We decided we could make one. This was my first attempt at it. It needs some work. I think I am going to try to sew the felt on instead of glue. The next project is a Honeycomb Notebook which we got the idea from Family Disney. Our paint was a little too heavy in some spots. Then we did a bee mosaic from a kit we got at Michaels in the summer clearance and we also had a kit to make some pom pom bees also from Michaels summer clearance section. I loved that these bees had their stingers included. 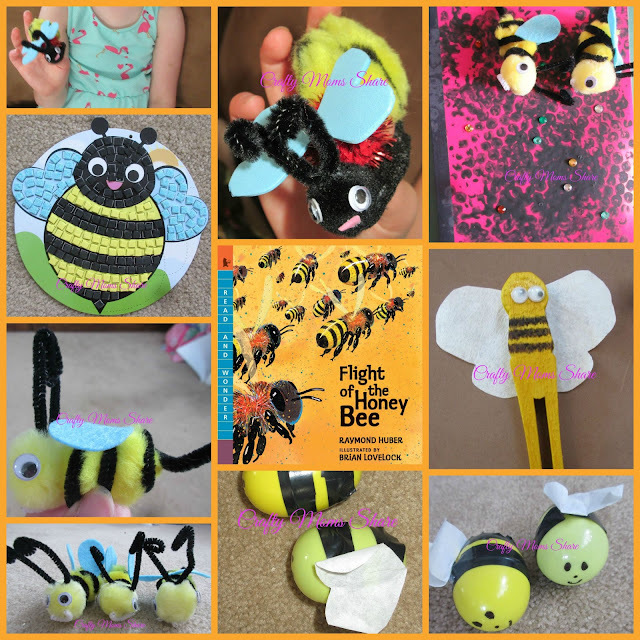 Then from church Hazel got some plastic egg bees which have electrical tape stripes and tissue paper wings and a clothespin bee. There are many fun bee crafts out there. 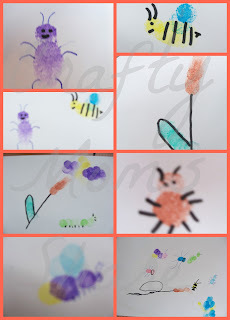 We did bee thumbprint drawings when we looked at Little Squeegy Bug. 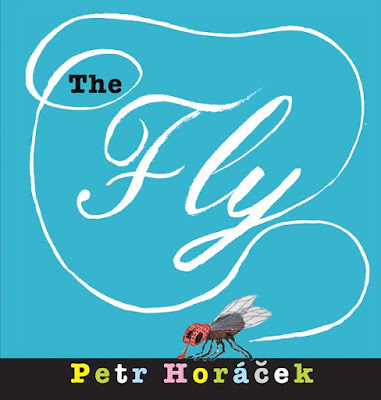 The second book is The Fly by Petr Horacek. This book is from a housefly's point of view. It shares why the fly may fly around in circles many times in a row (exercise) and how difficult it is to be a fly with the fly swatter, the fly eating animals and more around. It is very fun and amusing. Hazel's favorite part is on the last page, but I will let it be a surprise for you to read on your own. The pictures are wonderful and always put in the fly's point of view as well. When the fly is on the ceiling the people and furniture are upside down. We also did a few fly crafts. We made a chocolate fly which we will share more about in the next book since it was really part of the craft there. We made a paper fly using bubble wrap as the wings and to paint the eyes. The idea came from Danielle's Place and we used the pattern for the body from the next craft as well. 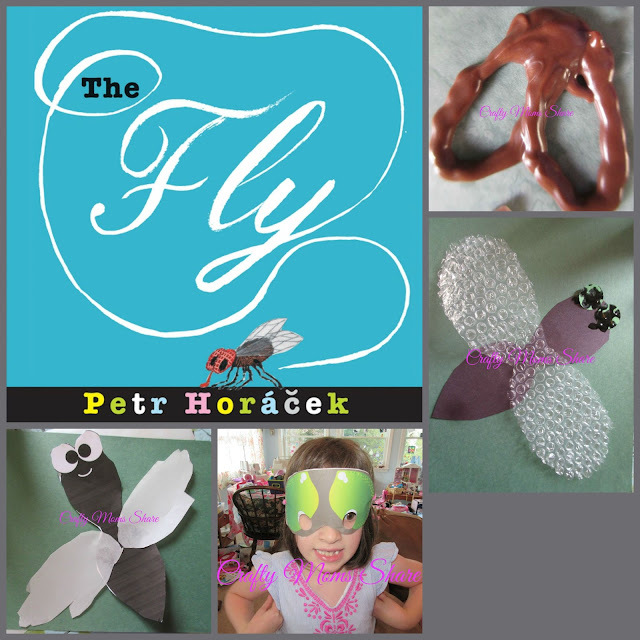 We made a fly with vellum handprint wings using the template from Free Kids Crafts. We didn't add the pipe cleaners because I forgot them. Finally we printed out the fly mask from Mother Natured (this post actually has many great spider ideas which will go with the next book). 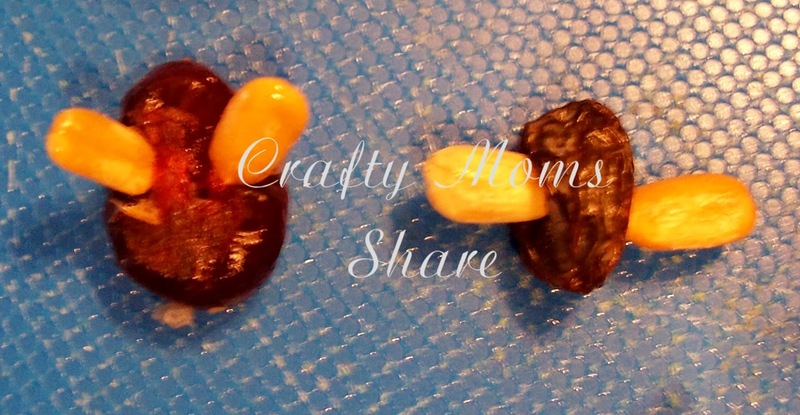 We also made some fly snacks a few Halloweens ago. 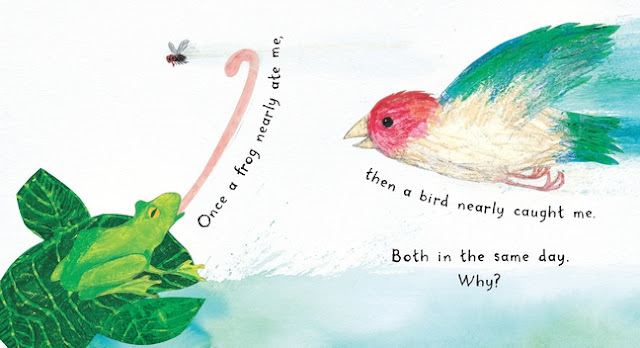 The illustrations in this book are simple, but go well with the book. It is entertaining and cute. 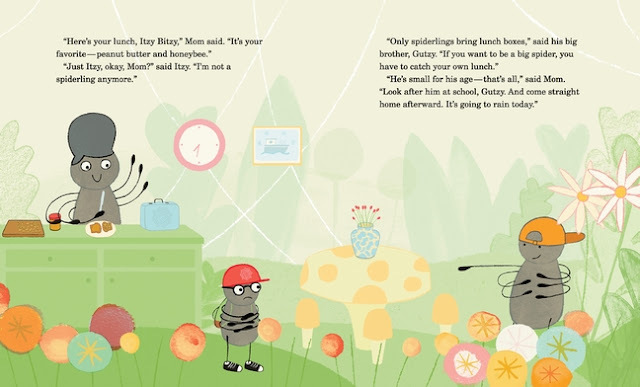 Candlewick Press offers some activities to go with the book (and other books) in their Spring 2015 Story Time Kit. We tried them out. 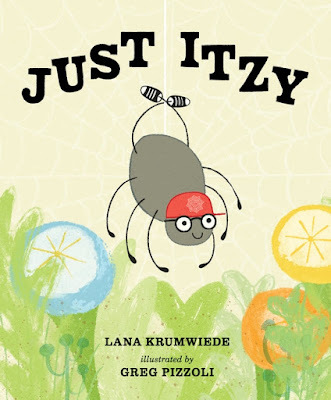 We didn't write the description of Itzy, but we did talk about it. Hazel could not wait to get her hands on the connect-the-dots when she saw it. 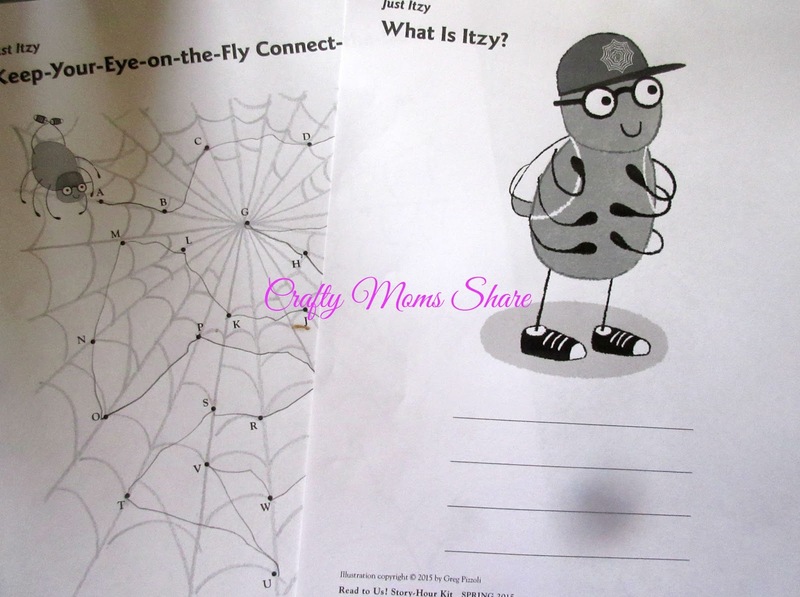 We did some fun spider crafts as well. We had fun with spider crafts. We made chocolate spider webs, spiders and flies (for food for the spiders). We used the template on Mother Natured. I made a spider paper cut following the tutorial on Green Baby Guide.We made some pom pom spiders (without eyes) using the tutorial on Inna's Creations. I love the fact that she used toothpicks to keep the pom poms together since they can be a pain to glue! I wish I had seen this tutorial before the pom pom bees. 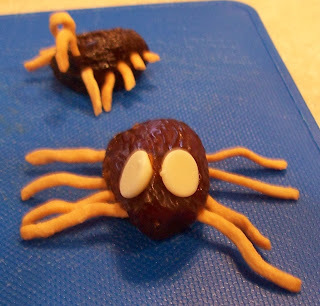 In our past we have made spider snacks. 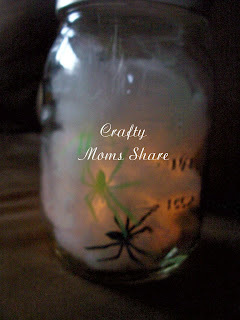 We also made a glowing spider lantern Halloween decoration. We made some spider webs to go with Charlotte's Web. 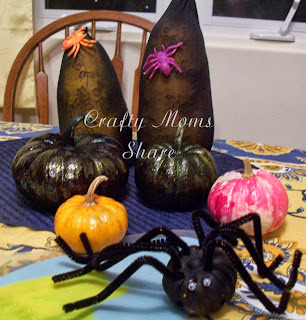 We also made a pumpkin spider and spider web pumpkins one Halloween. 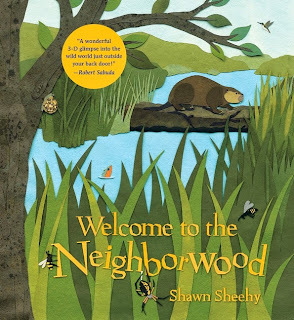 We also reviewed a wonderful book, Welcome to the Neighborwood that includes learning a bit about a spider. 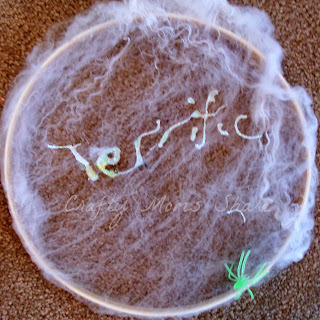 For more spider crafts check out my Charlotte's Web and Spider Activities Pinterest Board. 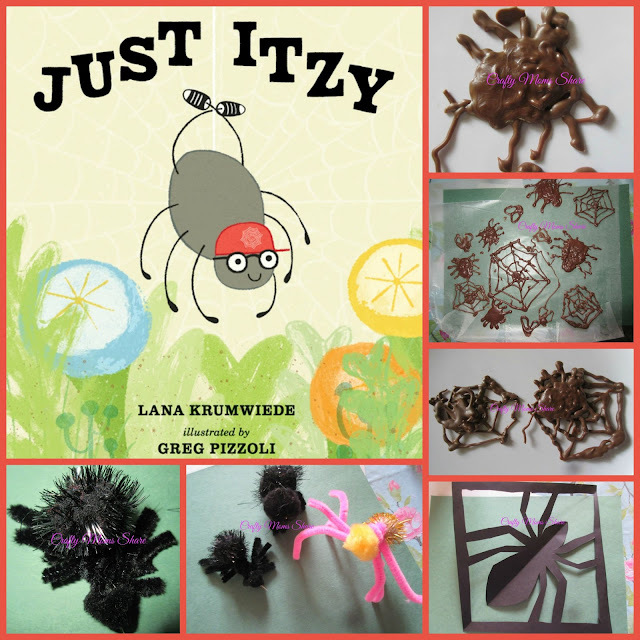 For more bee and fly crafts check out my Bugs and Crawly Things Pinterest Board.